In the past, interior decoration ingredients were likely to enrich our living style but now we can arrange for a luxury interior look without spending much amount. Installing wall stickers is very simple and easy process to decorate the bathroom also. We can paste some beautiful wall stickers in our bathroom wall, glass doors and even your bedroom is great. I had purchased an apartment and I had planned to hire an interior designer or consultant to decorate my home. These consultants charged me lots of amount and I was not able to spend it. Then one of my friends suggested me to install some wall stickers in my home and decorate it all by myself. I may have a photo frame decal on my wall to hang up our best photos or some other great ideas. 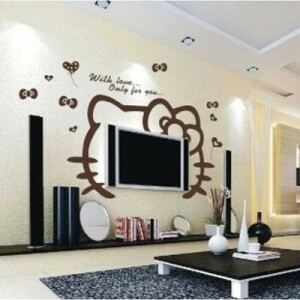 When I searched online for wall stickers, it was really surprising. I placed some orders and decorated my home with lots of designing wall stickers and installed them in my bathroom. Now my apartment has got a luxury look and it has becomes an elegant place to live. Generally we install some frosted window glasses in our bathroom but it can fail to provide us with the ultimate privacy level. Frosted glass is also a transparent material and our shadows can get reflected on the glass easily. Now we can easily cover up the frosted glass window in our bathroom. We can paste some wall stickers on the frosted glass of our bathroom and it will provide us the full privacy. We can decorate our bathroom door with stained glass and use some beautiful wall stickers for bathroom on the glass. This arrangement will look pleasant and perfect. If we replace our shower door glass with a high quality frosted glass, then we have to spend a huge amount on this work. Because frosted glass and window covers are expensive and it is not affordable for immediate situation. But in case of bathroom decoration, the privacy matter is very important and we have to be concerned about it and take action for replacement or reinstall the required materials immediately. We can do this work within an hour for a minimum cost. We can choose some wall stickers for our bathroom window and door from online stores and paste them on the glass and cover it with a decorative look. Before buying the stickers for bathroom we have to take appropriate measurement of our bathroom door and window. 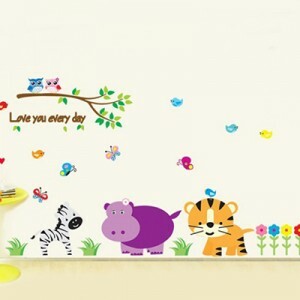 Wall stickers come in different sizes and we have to take perfect sized stickers for bathroom. If we want to cover up the whole glass door or window then we should place a perfect measurement sticker which covers it totally. Otherwise, if the stickers become small then our privacy protection does not work properly and we have to cover remaining portion of the window and door again. We can install stickers in bathroom permanently because it will never be destroyed by water and detergent. It is totally water resistant. For installing the stickers in bathrooms we should not use any types of additives or glue, because these wall stickers come with installation channel and we can easily paste them on the wall or glass by sticking out the back layer of the stickers. We have noticed that layers of moisture affect on our bathroom wall and windows very frequently. If we use stickers on our bathroom, then we can wash it regularly with detergent or water because it will never be destroyed by them. We can easily clean our bathroom in a regular manner but we have to be careful about the sticker portion and wash it smoothly. My opinion is to wash the bathroom sticker with dry cotton and not cleaning it harshly. Lighting systems are very important for installing wall stickers in bathrooms. We should use suitable wall stickers in our bathroom which generally reflect the lights around each and every corner of bathroom. If we use a white shaded light and our bathroom roof color is also in white then we can choose some light colored stickers. 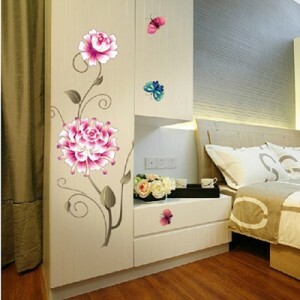 Wall sticker companies provide various colors and designed stickers on their website but I prefer for custom search also. In this search process we can find lot of designing templates of wall stickers and their measurement, installation instruction and material details. 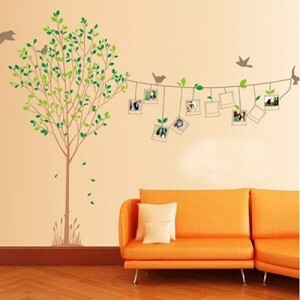 We can set some corner dim lights in our bathrooms and paste some colorful wall stickers on the wall and floor also. This entry was posted in Home improvement and tagged wall art, wall decor, wall stickers on September 12, 2014 by Yami. My name is Katie. I was wondering, do you accept guest posts on http://www.yamikitchen.com? It’s about home improvement and stuff, so it would be a perfect fit for your blog and would greatly increase the traffic on your site. I’ll gladly send you over some sample articles if you like. Hi Katie. I accept guest post for a reasonable fee. Email me at mvtorrecampo@gmail.com to discuss further. Thanks!